Would you listen to Evolve Your Brain again? Why? What was one of the most memorable moments of Evolve Your Brain? Not exactly boring, but not a book I can see myself revisiting in the near future. 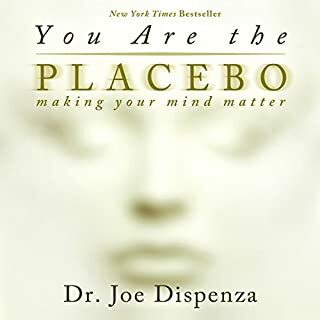 The Theory Behind "The Secret"
I don't want to downplay this book by giving this review a potentially fluffy title, but I've been curious about the idea of mind over matter for some time now. I've created change in my own life through focused thinking but wanted to take things a stage further. By learning about the neuroscience behind thought and hearing of real life examples, I now have renewed enthusiasm to see where this takes me. I've just finished this audio book and intend to listen to it all over again, to make sure I haven't missed anything during my 4 hour daily commutes to London and back. 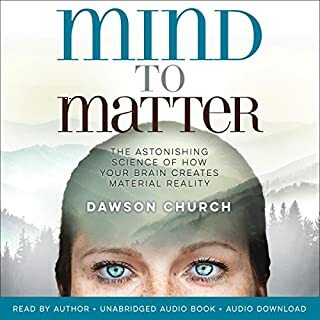 There's just one chapter that I struggled with, that goes into the science behind each part of the brain, bit the rest of this book kept me engaged. I'm looking forward to the second time around, which I think I'll start straight away. 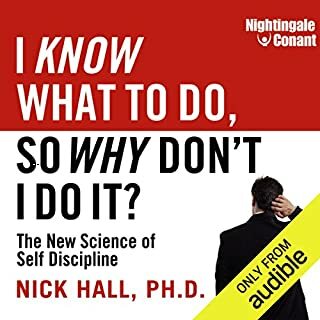 There are been plenty of great books that take a proven scientific approach to self improvement. This is not one of them. A confusing mismash of basic neuroscience, psychology and magical thinking. 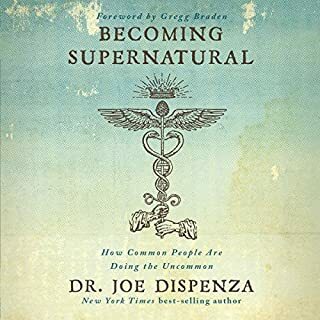 The basic premise that self reflection and a concerted effort to change automatic responses can help improve us is sound, but the author then claims a whole host of other super powers ranging from curing cancer to bestowing physic powers. The book covers some genuinely useful research on neuroscience and human behaviour, but it's often warped so badly to match the authors preconceived ideas, it's hard to know what you can trust. Even well understood theories such as Evolution are painfully misrepresented, and the chapter on Quantum physics is predictably fantastical. Aside from the content, one of the worst aspects is how painfully slow the book is. It is scattered with unnecessary repetition, meaningless passages and long and unhelpful analogies. Save yourself your money, and you time and pick up Peak, Habit, Grit, Deep Work, or any of the other quality titles that can back up their claims. 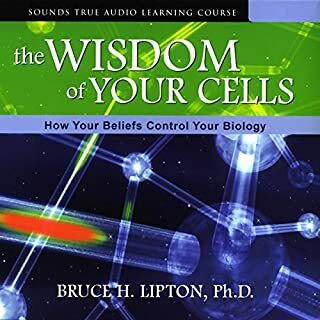 This is a fascinating book, looking at how we can change our brain from a neurological and evolutionary perspective. There’s a lot of explanation of neurological processes, but at the end there’s little clear structure on how to change. A bit less of the textbook stuff and more on the practicality would have made this a book to return to. As it is, I don’t think I’ll ever read it again. if you've ever read any other book about the brain or neuroscience, you won't learn anything new here. 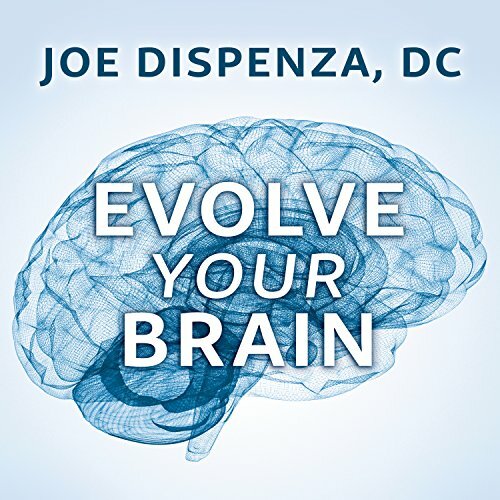 Would you consider the audio edition of Evolve Your Brain to be better than the print version? 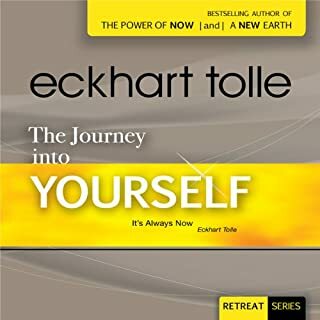 Personally due to my learning & life style I prefer audio books as you can exercise, be on the bus or doing housework and "read a book" I also like to make notes and refer back to them on occasion. Is that I have seen direct results within a very short space of time. Firstly I came the author on You Tube - I then went on holiday and then after shopping one day thoughts I really need a good book, then next thing I was walking past a book shop and the very 1st book I saw Mind Power of the 21st Century and it says in there "nothing happens by coincidence"
I have really benefited from this book and I love the neuroscience part and the best part for me was having the bonus material to refer to and really understanding what is going on from a biological point of view. This just felt like an overly long, fluffy, blog post. Far too much background information and stories, and not enough real meat relating to the actual title. I'm on chapter 9 of what appears to be the same free basic ideas being paraphrased paragraph after paragraph. If you have a high School level understanding of the brain, the first 9 chapters can be skipped. When does this start book give me something I can use? I get it. I'm a creature of habit. How do I use that knowledge to my advantage? Get to the point, please. -- the point is apparently, "Practice Makes Perfect". 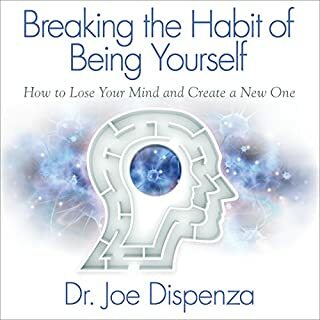 The book explores some very interesting and inspiring aspects of mind, brain and neuroplasticity. It's based on newest research on the field. Unfortunately, the author seems to draw a bunch of far reaching conclusions that aren't quite within the laws of cause and effect, and it is often hard to decipher whether what is written is based on research or author's own pseudo-religious beliefs. My biggest peeve, though, is the structure and writing of the book. The author constantly repeats himself and the topics come in somewhat haphazard fashion. Language used is often hard and stuffed with technical words and lacks punctuality. This is exacerbated by the placid reader who lacks good emphasis and tonality. I found myself zoning of constantly because of these short comings. In short, the book needs a good editor to make it in to an enjoyable listen. I much preferred the narrator of Dr Joe's two later books. Maybe I would have enjoyed it more if I had listened to this one first. The content was great - it is more of the science behind changing your thought patterns and how the brain works. 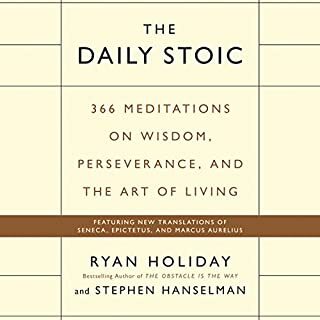 Of his three books, this was my least favorite, although I still think it has some incredible information in it and is definitely worth the investment. Sometimes too much information, too much anatomy. Struggling to finish. But definitely it's explained all in detail. This book is science heavy with minimal practices. If you want the practices and don't mind skipping the science then read his third book. I recommend his workshops as well! Brain science is not new to me. So when Dispenza dropped the dendrites and synapse themes, I thought, where are you taking us. Now I see how his outlook matches contemporary sciences. But in a way that empowers us to change the very nature of who we are. Not just psychologically, but physically. Not temporarily, permanently. 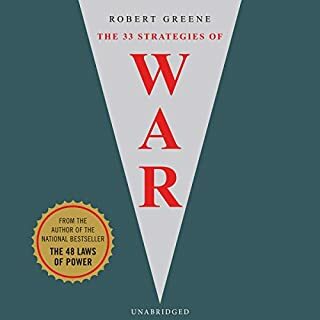 If you like the status quo, don't listen to this book. Best book to understand how brain works. 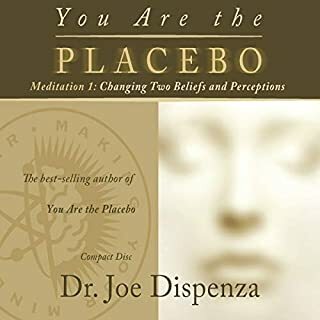 This book is an amazing combination of scientific research, real story and self help tools that author put together. 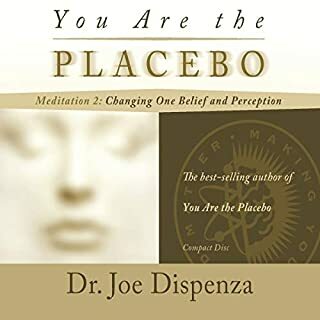 Best reading about the matter and mind so far. Great insight to improve your life physically, psychologically, and fundamentally! This is an excellent informative self-awareness book! 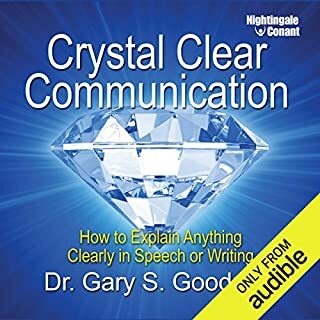 This audiobook was both informative and enlightening in regards to concepts that I was unaware of. It also confirmed elements in which I have thought. It is clear that the information could not have been done in less time. I look forward to listening multiple times to absorb and to implement many of the suggestions and concepts presented. Excellent, excellent material.